The online version of this article ( https://doi.org/10.1186/s40425-019-0567-3) contains supplementary material, which is available to authorized users. High dose aldesleukin (HD IL-2), a T-cell growth factor, is an effective immunotherapy for metastatic melanoma (mM) and metastatic renal cell carcinoma (mRCC), yielding a 14–25% objective response rate (ORR) (complete and partial responses) with prolonged response duration, often decades, for complete responders [1, 2, 3, 4, 5, 6, 7, 8]. Extensive clinical experience and detailed management guidelines over the last 30 years of HD IL-2 use has ensured predictable short term toxicity and minimal to no lasting residual toxicity [1, 2, 3, 4, 5, 6, 7, 8, 9]. As the studies which led to approval for HD IL-2 are decades old, we developed the PROCLAIMSM database, a multi-institutional clinical registry of patients treated with HD IL-2, implemented in 2011, with retrospective data collected back to 2006 and prospective data entered to the present. Seventy-five percent of subjects have been entered prospectively. This is the largest database of real-world outcomes of contemporary IL-2 treatment. Multiple reports have been generated from this database [2, 3, 6, 7, 8, 10]. Survival of patients with mRCC is heterogeneous, but may be projected by several prognostic scoring systems based on clinically available risk factors [11, 12, 13, 14]. Studies utilizing cytokine therapy identified the following factors as significant for poor survival: elevated lactate dehydrogenase, elevated calcium, anemia with hemoglobin below lower limit of normal (LLN), the renal tumor remaining in place during treatment for metastatic disease, and impaired performance status [11, 12, 13, 14, 15]. The International Metastatic Renal Cell Cancer Database Consortium (IMDC) risk criteria have evolved from prior systems [11, 12, 15], and have been successfully applied to assess survival outcomes among patients treated with either anti-vascular endothelial growth factor (VEGF) targeted therapy or immunotherapy [16, 17]. 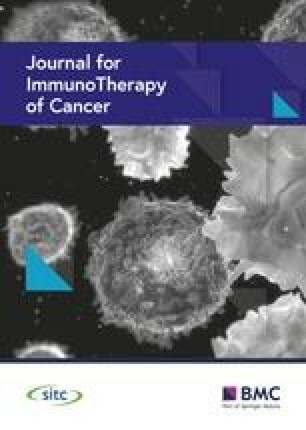 In view of the above outcome of more efficacious results with sunitinib compared to CPI immunotherapy in favorable risk mRCC patients, and because patients selected for HD IL-2 treatment meet physiologic parameters allowing them to tolerate treatment and are not selected by IMDC risk criteria specifically [2, 3, 5, 6, 7, 8, 9, 10], we have interrogated the PROCLAIMSM HD IL-2 treatment database for survival outcome by IMDC clinical risk criteria of patients with mRCC treated with HD IL-2 [10, 19]. This report represents the first analysis of survival of mRCC patients entered into this database utilizing the IMDC risk factors and risk categories and evaluating their impact on survival. In this analysis of mRCC patients in the PROCLAIMSM HD IL-2 registry, all IMDC risk groups have median and 2-year survivals following HD IL-2 that are consistent with recent reports of CPI immunotherapy or anti-VEGF targeted therapy for mRCC. All risk categories have improved survival compared with historical cytokine data [11, 12, 13, 14, 15] and are consistent with data from a recent prospective study, IL-2 “Select”  and other contemporary reports [2, 3, 4, 6, 7, 8]. In view of the well-known durability of response (DOR) to HD IL-2 from many reports, and the observation of durable survival of mRCC patients following HD IL-2, particularly in favorable and intermediate risk groups in this report, combination therapy, both in sequence and concurrently, to enhance the complete response rate, DOR and OS is being investigated. 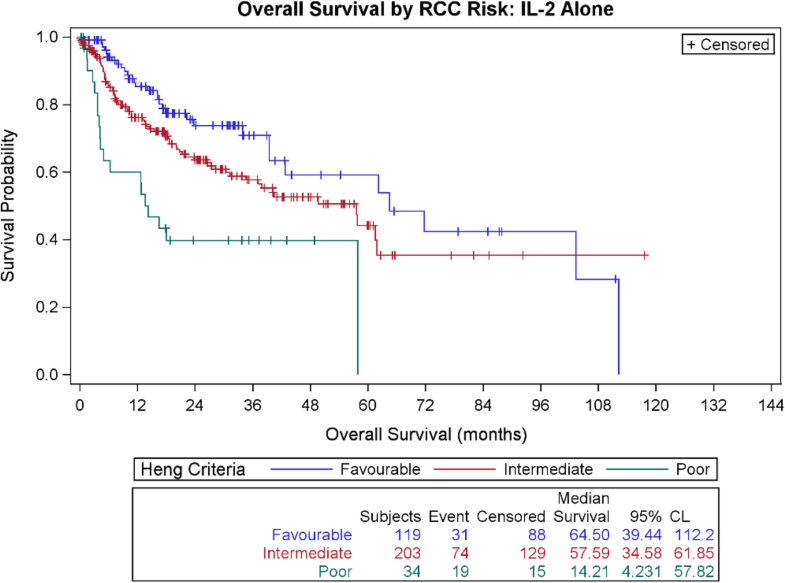 Metastatic RCC responders to HD IL-2 have among the most durable survival data of mRCC patients with any treatment [2, 3, 4, 5, 6, 7, 8, 10, 12, 16, 17, 18]. A series of recent reports suggest the feasibility of combinations, either sequentially or concurrently.